WANKULUKUKU – Express and KCCA will renew their rivalry on Tuesday afternoon when the two Ugandan football giants clash at the Betway Mutessa II Stadium in Wankulukuku. 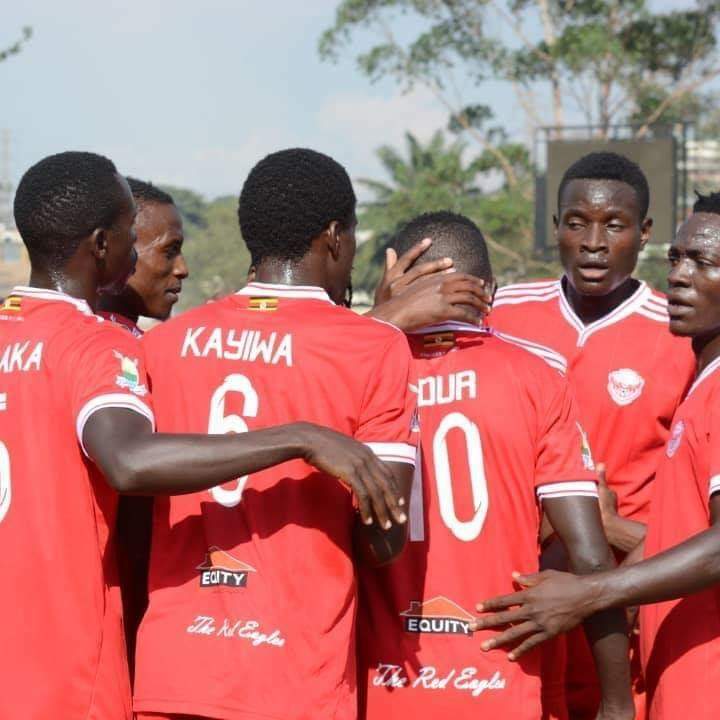 In the recent past, fortunes have changed for both sides with the Kasasiros being the giants of the game in Uganda while Express are playing catch-up. Going into the games, the two heavy-weights are separated by 9 places and 11 points on the standings after 10 games with KCCA sitting atop the log while Express lay 9th. The gulf in-between the two side should give the visitors an edge over Express and they must be confident about seeing off the Red Eagles. “Tomorrow’s (Tuesday) game is not as strong as many people expect because we have a stronger technical team and squad depth, said KCCA FC forward-Suleiman Mutyaba ahead of the game. “We are also boosting of massive confidence going into the tie. “The players are in harmony and whoever plays is not anyone’s problem. Asked about what the game means to him as a player, the former Express FC and Vipers’ forward had this to say. “I for one, am going to enjoy the game because i can not go out to punish Express after all am a former player there. 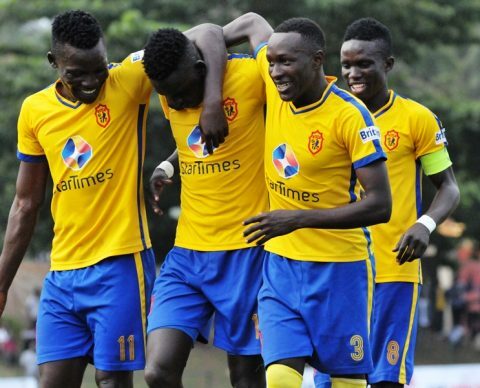 KCCA FC have no fresh injuries going into the game and will be boosted but the returning trio of Muzamir Mutyaba, Gift Ali and Filbert Obenchan. With the treatment room almost cleared of visitors, Mike Mutebi and his stuff will have a strong pool of players to choose from. For Express, they are currently in a desperate situation, losing both of their last two encounters in the league. The Red Eagles lost 2-0 at home to Onduparaka and their misery was compounded on Saturday, when they went down 1-0 at Kirinya JSS. They will be boosted by the return to full fitness of Ibrahim Kayiwa and Tony Odur, who missed the defeat in Jinja last time out. Only Davis Mayanja is expect to be out after the Midfielder accumulated three yellow cards, a situation which automatically rules him out. Julius Ntambi was indefinitely suspended by the club. With currant head coach Kefa Kisala already witnessing pressure mount on him, there will be no room for error for Express. The two side share 18 league titles going into the game with KCCA enjoying the Lion’s share of them (16) while Express have six. Since December 2010, the two sides have faced off 18 times in the league with KCCA winning 8 times and drawing 7. Express have not beaten the Kasasiros since 2015. Last season, KCCA defeated Express home and away including a 2-1 victory at Wankulukuku in the reverse fixtures. Going into the game, Express have won only 4 of their last 16 games in all competitions (D7 L5). They are currently on a four game winless run drawing two and losing as many in their last 4 fixtures. At home, the Red Eagles have won only one of their last 7 games (D4 L2). For KCCA, they head into Wednesday’s fixture on a 10 game unbeaten run in the league (W10 D5). The last time the Kasasiros lost a league game was in the 3-2 loss away to Vipers in April. Away from home, Mutebi’s side have lost only one of their last 13 games (W6 D6). The loss came on 27th April at the St. Mary’s Stadium in Kitende.